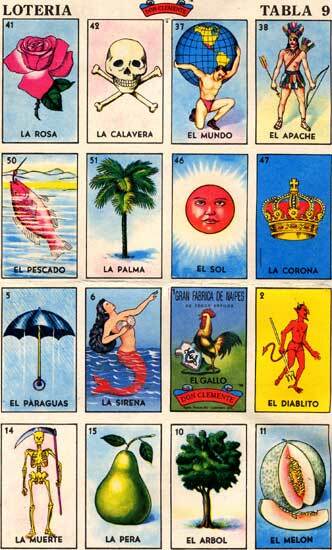 Loteria is a Mexican version of Bingo. Rather than calling out numbers, such as “B-15”, images are used. I think my fascination with them is that (to an outsider), the cards appear to be some form of alternate Tarot. Indeed, some have used them for fortune telling.